Apartment with common pool suitable for four persons. 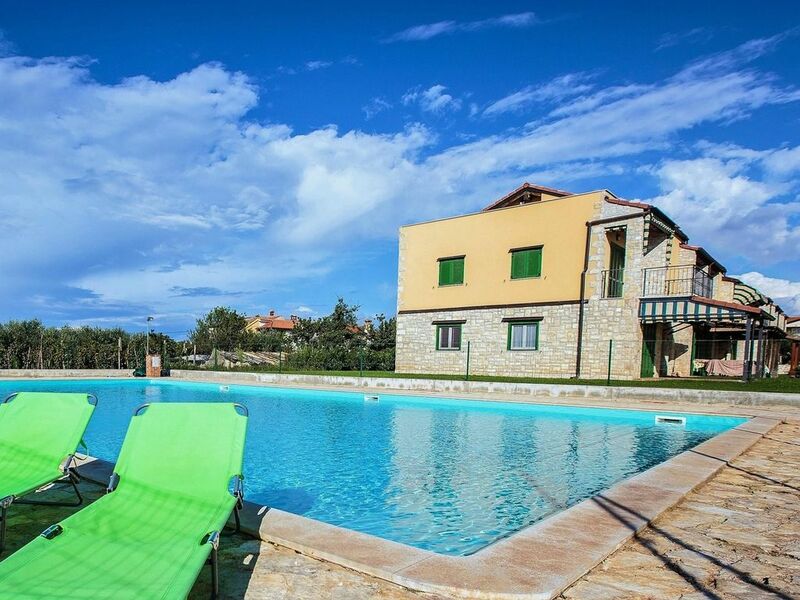 Apartment Lanza is basicaly quipped apartmnet situated on istrian west cost in village Gedici, 8 km away from touristic city of Porec. It consist of two bedrooms, bathroom with washing-machine and connected kitchen with livingroom. On the balcony guests can enjoy in relaxing view on the area. It takes only ten minutes driving to the first beaches, but guests can aso use shared pool. Wi-fi, air condition and prive parking are free to use. Gedići is a little village situated only 8km from the Poreč downtown, 7 km from the beach Lanterna near Tar and 6 km from the beach Materada in Poreč. The village is really nice, surrounded by nature, vineyards and bicicle paths, ideal for families and all of those who are searching a quiet holiday. The grocery store, the bakery, a few restaurants, the post office and the church are situated in the nearby town called Nova Vas, just 1.5 km away. Between Nova Vas and Gedići there is a famous Baredine cave. Poreč is a famous tourist destination known for its many cultural events, bars, restaurants, sports activities and beautiful beaches.